A key part of our technology roadmap over recent years has been how to effectively build Translation Memory into our workflow system. Having the Online Editor integrated into our systems offers many benefits that we hope will allow us to operate more smoothly and focus on our client service, retention and business development. More work – by dedicating our time to serving our clients in best possible time, and your time to translation-related tasks only, we hope to gain more work that you could then complete in a more efficient manner. Does this mean that I can’t use my own translation memory tools and I should use the Online Editor? We usually encourage our linguists to work in our Online Editor as it allows us to monitor the workflow as well as the technical aspects of a project more efficiently. However, if you prefer to use your own tools, you can ask to receive the TMX file and the source file in XLF format, and work inside your own tools in the usual way. We use our Online Editor with over 80% of the work we do and its use is mandatory for certain clients. What if I do not have a quick enough (broadband) internet connection? You can ask to receive the TMX and source file in XLF format if you prefer to work offline. We understand that many translators work on computers that are not connected to the internet for security reasons, and so we accommodate this. If I refuse to use the Online Editor, will I still be able to work with TranslateMedia? No. You do not always have to use the Online Editor. Whilst the vast majority of the projects we do requires the use of the Online Editor, we also occasionally process jobs that can be done directly in text editors such as MS Word. Can I use the Online Editor for other work? No. At the moment the Only Editor is only available for use with TranslateMedia work and we do not offer the ability for you to load in your own projects. Can I use keyboard shortcuts like 0+160 for a non-breaking space, etc.? Yes – the Online Editor supports the standard keyboard shortcuts for special characters. There are also other keyboard shortcuts, which are listed at the bottom of this document. When you are assigned a job that requires the use of the Online Editor, you will be emailed a link to log in. This link is also available in your TranslateMedia Translator Portal on the Job board screen. On the left-hand side, you will see your source text, broken down into segments and the blank area on the right is where you can enter your translation. Translation Memory matches show the source and target text of matches from the Client’s Translation Memory. Ctrl+ the number that corresponds to the match. In some cases, 100% and 101% matches will be inserted automatically – they have already been translated previously. Those matches will be labelled ‘Pre-translation’. If a target segment has a black padlock symbol against it, you do not need to work on these segments at all. These are locked for editing. All the translations that you complete and confirm by pressing Ctrl + Enter will be added to the Translation Memory for future use. 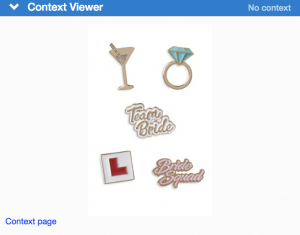 The Context Viewer is key for translation, and therefore wherever possible we will include a visual reference that helps to better understand the text being translated. This might be an image of a product for an online retailer or a photo that is accompanied by a caption. 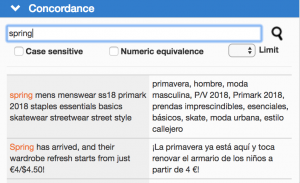 Concordance scans through the Translation Memory for a specific term in the source language and finds its relevant translation(s) within the memory. The ‘Case sensitive’ option will search only for matches in the exact same case (lowercase, uppercase, word starting with a capital letter, etc.). When searching for a number written in words, the ‘Numeric equivalence’ option will include results with numerical digits. The ‘Limit’ box controls the number of results displayed. TermBase lookup shows any matches from the TermBase (glossary). To insert a TermBase match, press click Ctrl+Shift+ the relevant number. You can also double-click on the term to insert it automatically in the segment you were working on. You can also search the TermBase by populating search box with either the source or target language term. The results will display below the search box. To add a term to the TermBase click ‘+add term entry’. You will have the opportunity to not only insert the source term and its correct/recommended translation but also include a comment, which might be useful for example when you want to explain the context in which the specific translation of a term should be used. You can edit and delete the termbase entries that you have added. Do do this, search for the term you would like to edit or remove and then hover over the right-hand side of the target term. You will see two small icons – the top one allows to edit a previously added term and the bottom one removes it completely. The blue not below the target term indicates who has added the term. By hovering over the term, you will also see a black box showing the additional comment at the top. the TermBase, it will appear highlighted in blue. Please add any useful terms, including context comments, to the TermBase as you translate. Briefing/instructions provide quick access to any special instructions that might be attached to a job. Following any special instructions specific to a job is mandatory. The same section also allows you to access all the reference material relevant to the job. Please review the reference material enclosed before starting any job. To begin translating, simply put your cursor into the target segment of the first line and once you have thought of a really good translation, type it in. To move onto the next segment hit Ctrl+Enter. This will save the translation in the memory and move the cursor to the next segment so you can begin translating again. This will also activate the auto-propagation function, which allows you to automatically populate all the repetitions of an active segment with its current translation. If you don’t want to save the translation in the memory, for instance, if you want to re-draft it later, just use CTRL + up or down arrows to navigate up and down through the document. You can go back and edit your translations at any time before delivering the document. You can also copy the content of the source segment into the target segment by pressing Alt + right arrow. Use the keyboard shortcuts to insert Translation Memory and TermBase matches that you want to use, and add any useful Terms to the TermBase as you work. IMPORTANT: Please note that if you choose to work on the XLF export of the file in your own CAT tool rather than work directly in the Online Editor, you should not join or split any of the segments in your CAT tool, as the XLF file will not import back into the Editor. This works exactly the same way as the translation – you work through revising the translation and editing what you feel needs to be edited. The colouring of the segments is slightly different for revisers than it is for translators. Any segments that are not locked and the reviser needs to work on will display in bold and in blue. As the reviser works through the document, any confirmed segments and their repetitions (subject to auto-propagation settings) turn green. This system allows for the reviser to quickly assess their progress and the amount of work that they still need to complete. Before returning a job, whether it’s a translation or revision, please make sure to run a QA report first. ‘Run QA’ function is available from the menu at the top under ‘Tools’. You can opt for either Default or Strict QA. The report will list any potential errors that might need fixing before the job is submitted. Please make sure to address any relevant errors before submitting any job. Equally, we ask all our linguists to run a spell check before returning any job. The spell checking tool is available from the top menu under ‘View’. Project – At the top of the editor screen is a menu with various functions. To return a job you need to go to ‘Project’ and select ‘Submit job’. If you were revising and editing a translation, you will be asked to fill out a short revision checklist when returning the job. ‘Download Preview’ allows you to download the translation complete so far in the original file format. 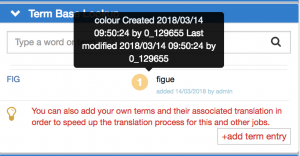 Tools – This is where you can set your preferences for translation propagation, access the spell checker and run a QA report. View – You can hide/unhide confirmed and locked segments and display formatting. This this is useful if you want to see if non-breaking spaces have been inserted in the translation. Help – Access to the TranslateMedia Project Manager’s contact details, a form to report bugs or errors that you experience and a direct link to this guide. All major browsers support the zoom function to change the view. In some cases, because of the way that the matches are presented, you may find you cannot fit everything onto the page in a format that would be easy to view. Try hitting Ctrl+- to zoom out one step. This will make the text smaller, but it will help create space in the layout for you to view everything. We use analytics to track the screen resolutions that users of the Online Editor have and we optimise the view and settings for the majority, but we are aware that there are a huge number of different types of devices connecting, with different screen sizes.